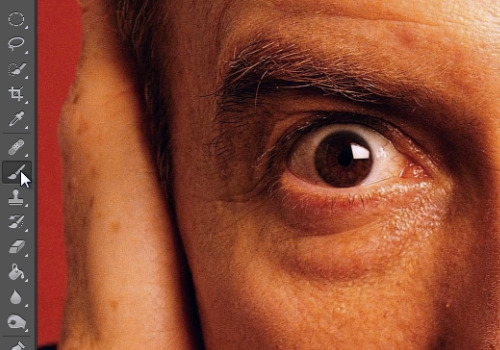 In this video tutorial we will show you how to photoshop scary eyes. Launch the Adobe Photoshop. Go to the “File” menu, press “Open” and choose the file you want to use. Then select the “Zoom tool” from the toolbar and zoom in the photo. Click on the “Create a new layer” icon. Go to the “Blend mode” menu and from the popup menu choose the “Soft Light”. Then click on the “Set foreground color” and pick a black color from the pallet. 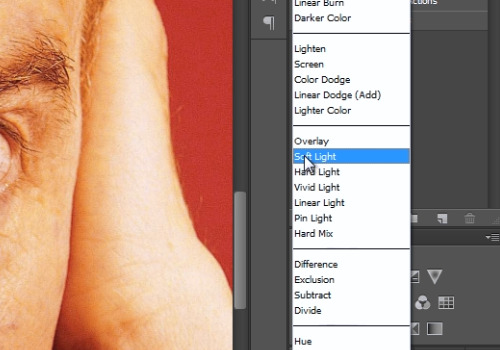 Select the “Brush tool” from the toolbar and adjust the opacity to about 70% from the tool panel. Then draw on the photo eyes area. When it’s done, click the “Create a new layer” icon. 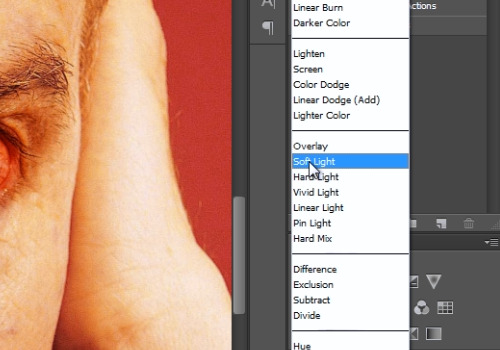 Go to the “Blend mode” menu and select the “Soft Light”. Then click on the “Set foreground color” and pick a red color. Go to draw on the picture eyes. When it’s done, click on the “Create a new layer” icon. Go to the “Blend mode” menu and select the “Soft Light” option. Then click on the “Set foreground color” and pick a black color. Draw on the picture eyes. 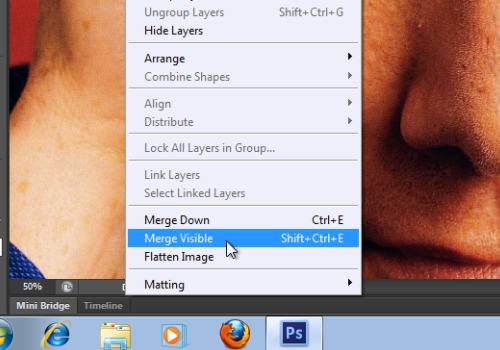 Then, go to the “Layer” menu and choose the “Merge Visible” option. Select the “Lasso tool” from the toolbar. Then select one eyeball. Go to the “Select” menu, choose the “Modify” option and select the “Feather” option. In the following window, select the “feather radius” and set the value onto “5”. Then, go to the “Edit” menu and choose the “Free Transform” option. Then make your eyeballs bigger with the “Free transform” option. When it’s done, press the “Check” button. Select the other eyeball. Go to the “Select” menu, select the “Modify” option and choose the “Feather” option from the submenu. 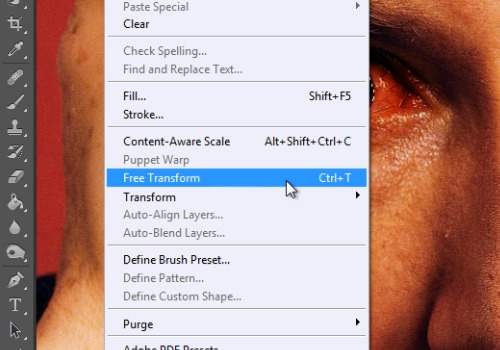 Go to the “Edit” menu and choose the “Free Transform” option. Then make your eyeball bigger. When it’s done, press the “Check” button. Choose the “Zoom tool” from the toolbar and zoom out the photo.